Available from ECEFast , Finetek FAP cable float level switches operate as cost effective pump control or alarms for water as well as contaminated liquids. These cable float level switches have a design that allows selection of the function and hysteresis within wide limits. They also have outstanding chemical resistance while the wire colour code is compliant with AS3000 wiring regulations. These cable float level switches can be supplied with varying weights to suit a wide range of applications while the microswitch actuation is non mercury. They have a 250V/10amp rating and 0-60C and 2 bar operation. 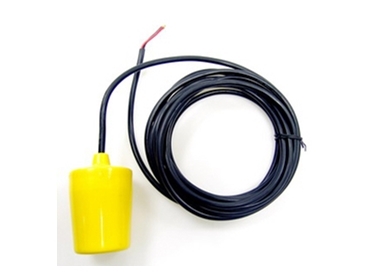 Also available is a mini series cable float that is ideal for use in applications where space is limited and valuable. More information can be obtained from ECEFast.